Holland America Line will operate three ships in South America starting this fall. Veendam, Maasdam and Prinsendam will operate 13- to 68-day itineraries, including a new 49-day “Amazon and Carnival” voyage aboard Maasdam in early 2013. Additional highlights are a 23-day “Amazon Explorer” cruise in November and a 68-day “Grand South America and Antarctica” voyage in January aboard Prinsendam. From November to March, the 1,350-guest Veendam will sail a series of six 13-day and one 17-day itineraries between Valparaiso (Santiago), Chile; Buenos Aires, Argentina; and Rio de Janeiro, Brazil. 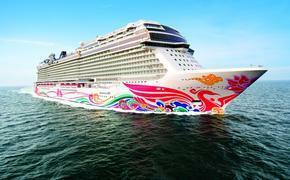 Cruise fares begin at $1,399 per person, double occupancy, for the 13-day sailings, and $1,699 for the 17-day voyages. A non-repeating itinerary includes a 14- or 18-day South America cruise departing Boston or Fort Lauderdale to Valparaiso departing Oct. 20 and Oct. 24, respectively. Also, an 18- or 21-day South America cruise from Valparaiso to Fort Lauderdale or Boston departs April 13. Veendam also sails a 21-day “South America and Antarctica Explorer Holiday” cruise departing Rio de Janeiro to Valparaiso Dec. 20 and a similar 20-day cruise departing Valparaiso to Buenos Aires Jan.10. A 21-day cruise returns from Buenos Aires to Valparaiso departs on Jan. 30. Cruise fares begin at $1,699 per person, double occupancy, for the 14- and 18-day sailings, $2,099 for the 18- and 21-day sailings departing Valparaiso, and $3,799 for the 20-day Antarctica sailing. The Maasdam’s 49-day “Amazon and Carnival Explorer” voyage sails roundtrip from Fort Lauderdale on Jan. 18. The cruise will visit 25 ports including Aruba, Bonaire, Curaçao, Barbados, Brazil, Cayman Islands, Dominica, French Guiana, Trinidad and Tobago, crossing the equator twice during the voyage. A highlight is Carnival, a four-day celebration Feb. 9 to 12. Extended calls are scheduled at seven ports -- Oranjestad, Aruba; Willemstad, Curaçao; and Buenos Aires, Callao (Lima), Fuerte Amador (Panama City), Manaus and Rio de Janeiro, Brazil. Segments are available for guests. Cruise fares begin at $7,999 per person, double occupancy, for the full 49-day voyage, $2,999 for the 23-day segment and $5,199 for the 26-day segment. Departing Jan. 5, Prinsendam sails the 68-day “Grand South America and Antarctica” voyage roundtrip from Fort Lauderdale. Prinsendam will circumnavigate the continent and spend seven days cruising the Amazon River and four days of scenic cruising in Antarctica. Overnight calls include Callao, Buenos Aires, Rio de Janeiro and Manaus. Segments are available. Cruise fares begin at $12,999 for the 68-day voyage.